I recently recalled the memory of an argument I had with one of my friends from school six years ago, when I was still in high school. It was around the time Narendra Modi was vigorously campaigning to become the next prime minister of India. He was a hot topic for debate, and every media house was discussing the sharp rise in the popularity of the chief minister of Gujarat, despite the Hindutva identity he carried. The media termed it the ‘Modi wave’. My friend and I were discussing the series of corruption scandals that unfolded during the tenure of the United Progressive Alliance, as well as the Hindutva becoming a part of mainstream politics. He kept on insisting that Modi is the only option to end corruption in the country, and most importantly, to revive ‘Indian culture’. This term, however, has never had an exact definition, and is often manipulated to fit into the propaganda started by the right-wing. Four years after the Modi-led National Democratic Alliance (NDA) government succeeded the 10-year-old Congress regime, many things have changed, but perhaps the most drastic and nefarious development is that hate has now been established in the mainstream. Over the course of these years, Eid versus Diwali and shamshan (cremation ground) versus kabristan (graveyard) are debates that have become part of conventional politics. Today, a wide and bold line has been drawn between Eid and Diwali. On the one hand, it would be wrong to say all this began after Modi assumed power. On the other, it is safe to say things have become significantly worse for Muslims during this time period. Eid has now lost its sweetness, as well as the gesture of brotherhood it used to bring. I recall a lesson from my school, where I was taught to celebrate the plurality of India. After all, multiculturalism has always been the identity of this land. Merely a simple Google search will enlist examples where temples and mosques shared the same boundary. Of Muslims designing effigies of gods and goddesses for Hindus and their puja (prayer). Of people in India celebrating Diwali, Eid and Holi together, unhindered by religion. Though cultural and religious differences have existed in India for a long time, unfortunately, over the course of a few years, offering namaz in public became known as ‘land jihad’. The horrific yet frequent episodes of lynching have terrorised the Muslim community to an extreme. In its report, India Spend mentions a sharp increment in crime against Muslims after the Bharatiya Janata Party (BJP) came into power. The data maintained since 2010 suggests 97% of cow-related violence occurred after 2014, in which 84% deaths were of Muslims. On May 20th, 45-year-old Siraj Khan was lynched to death in Madhya Pradesh. The state is ruled by the BJP, and is one where several reports of major assaults against Muslims have increasingly made headlines over the years. The Modi government has succeeded in blocking the thinking ability of the so-called “concerned India” from visualising the greater challenges that lie ahead. “The current dispensation is more entrenched than what was found in the regimes of Hitler’s Nazi Germany and Mussolini’s Italy, as both regimes had no organisations like the Rashtriya Swayamsevak Sangh (RSS) backing them,” says Ovais Sultan Khan, who hails from Amroha, a district of Uttar Pradesh currently ruled by Yogi Adityanath, a saffron priest and the face of the militant Hindutva. The newly coined but commonly used terms, like love jihad, land jihad and ghar wapsi, all cause anxiety amongst Muslims. Gau-Rakshak, the self-proclaimed cow protectors, and other offshoot organisations of the RSS have become the face of saffron terror in our country, and are leaving no stone unturned to demonise Muslims and their culture. And Eid is not an exception. I have grown up in a pluralistic society with worthy exposure to the diverse culture of India. I studied in a boarding school, where most of my time was spent at the home of a man who was Hindu. He raised me like his own son, and always took care of me. I will never forget the kindness and generosity with which I would be treated during the month of Ramazan. Though I never got the chance to celebrate Eid at his house, choosing instead to go back home for the holidays, but every year I would return with a box filled with sawaiyan sent by my mother for him. I often compare my childhood to the times of today, and it is remarkable how many things have taken a turn for the worse. My friend from school and I have not met since then. The sweetness of sawaiyan, whose smell could always be found in the neighbourhood and at friends’ houses, has now been confined to the ghettos. Sawaiyan has become untouchable, like Muslims, whose patriotism is now being questioned on trains, buses, at the workplaces and even in the privacy of their own homes. As I am a Muslim, I am called a Pakistani sympathiser, and even asked to leave India – I call this high school bullying. Now even the auto driver, whom I pay for the service, feels compelled to question to my ancestry and my ‘Indianness’. Despite our differences, Eid has always reduced boundaries between communities and spread love amongst our countrymen. However, in contemporary times, when mosques are vandalised and Muslims are used to harassment in their own colonies, Eid itself has become a minority, and has been reduced to a festival of ghettos. This year, Eid namaz was offered under the shadow of fear, and this is the harsh reality India has to live with. One can only hope that this hate too will age, and these times shall one day pass away, leaving behind the pluralism India once prided itself on. toxic mix. Indeed. Which is destroying Hinduland. Just substitute Muslims for Jews. Same country that was planning to send astronauts to Mars….. Biased article without comparative analysis and periodical analysis. Per Peacefulness index, India has moved up 7 places in just 4 years. Love jihad is not newly coined in 2014. It was first used by a Christian priest in Kerala court. As you know Kerala is a state that BJP has never ruled. And yes this term was used in 2009. As far as ghar wapasi is concerned, either conversion is acceptable or it is not. It is unclear why you think that to convert a Hindu into Muslim is ok but the reverse (ghar wapasi) is not? What rubbish. Our neighbors share sewaiyan with us just as we give them mathias and cholafali on Diwali. No one’s patriotism is challenged unless they support Pakistan’s support for jihadis. And no one barges into people’s homes to challenge this. I know there is a atmosphere of apprehension in muslim community since the election of BJP governments, but we must also acknowledge that the repercussions were not quiet as catastrophic as most feared they would be. Organisation like SIMI and IM has helped BJP paint muslim society as aggressive, anti India group which has never truly embraced the secular policy of the country. So it’s just logical for the hindus to give up secularism too. Logic is the first casualty of heard mentality and that’s what has happened to both communities. What has the Muslim community done to fight the propaganda of BJP. Muslims prefer living in muslim enclaves for many reasons including cultural and social. But one side effect is that the social contact with hindus has become limited, in majority of the cities. I know many hindus who don’t proscribe to BJP and it’s ideology, at the same time I know a few muslims who view hindus as potential enemy for no other reason then what they have been told. I also blame social media that is used to flame communal animosity and over small things at that. Politics is also to blame but in democracy we get governments that we deserve not the one we need. So next time vote for better candidates, based on their record and not their religion or community, based on their record and not the promises they make. This article is about Muslim mistreatment and near genocidal conditions in Hinduland. into power. Even the village person can tell you HIS agenda. This article is written by a Muslim citizen, of Hindustan, who is currently living there. What he sees, what he hears, what he feels, what he experiences. there is a severe shortage of decent Bharat ke naagariks. to put a statue of Rama in each mosque in Hinduland! Forced subjugation! is fine. But not vice versa. It is something that YOU inserted! Please read the blog! German Wehrmacht, of First World War. YOU should read Hitler’s ‘ Mein Kampf ‘. it was full steam ahead, in extermination of the Jews. It started with small incidents. The Nazis could not kill them fast enough. So they graduated to full concentration camps. Plus there were Jews in countries they conquered. And we all know what happened. and looked the other way. Or condoned it with fake arguments. Like yours. Modi’s hatred for Muslim goes back to his days as a political worker for Rashtriya Swayamsevak Sangh, also known as the Hindutva Mothership. Must be painful for you. The truth, hard hitting. 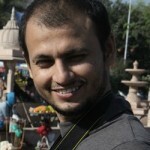 This blog is about Muslims in Hindustan. country of the great Mahatmaji. Sri Lanka, Myanmar [Burma, to be exact]. This is about Hindustan. in Hinduland. Which is very much akin to the Nazi regime and Mussolini’s atrocities. The Muhajjirs in Karachi, as you write, are a different topic. Not your problem at all. And Hitler had them on his fast track, extermination list, as ‘undesirables’ non Aryan race. So include them and Europe too, in your list of countries. will rent to them, in other communities. They are a beleaguered ethnic community. Do not use fancy words to cloud a severe survival issue for Muslims in Hinduland. system. No wonder Bharati society is trapped and restricted by this. Hindu Rashtra. Which is another way of saying to all minorities to CONVERT or LEAVE. We think YOU are wrong. Good to live in a bubble. And be sanctimonious and self righteous. Politically. divided, acrimonious and anti Muslim country. hopelessness.You would have more empathy. Perhaps. Muslims in every major city of Hinduland. Be thankful. Or maybe you don’t live in Bharat. So there. Safe. There is no victimhood here. Only cold hard facts. the’Butcher of Gujrat’ and his Hindutva mowing machine. as the math shows, by sheer numbers, in Hinduland. Which will outpace China in population by year 2025! their slaughter. Just substitute Muslims here.